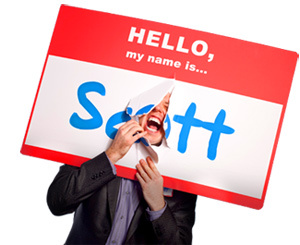 10 Reasons Your Business Doesn't Really Exist - HELLO, my name is Scott! If you can’t define your product … it doesn’t exist. Because a confused mind never buys. If you don’t have a unique product … it doesn’t exist. Because a choice-saturated mind never buys. If it doesn’t exist on the Internet … it doesn’t exist. Not just a web-SITE; a web-PRESENCE. Octopus, not earthworm. If you can’t Google it … it doesn’t exist. 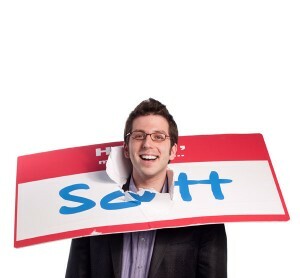 What happens when someone googles your name? If people aren’t talking about your product … it doesn’t exist. It’s simple: get noticed = get remembered = get business. Who’s blogging about you? If you’re not marketing your company DAILY … it doesn’t exist. If you can’t describe your product eight words or less … it doesn’t exist. Customers crave simplicity. Could you explain your idea to a kindergartner? If you don’t write it down … it doesn’t exist. And if you don’t write it down, it never happened. That’s why writing is the basis of all wealth. If people aren’t retelling your story … it doesn’t exist. The only true reason your business will grow is if your existing customers are telling your potential customers about you. Word of mouth is the most honest, most sincere and most authentic form of marketing. If it can’t be found … it doesn’t exist. Even without Google, people still need to be able to contact you. So, if your phone numbers, addresses and emails are out of date, disconnected or no longer in service, you’ve got a problem. Because if they can’t get you, they’ll just pick the next guy on the list.